McKesson Sells Medisoft, Lytec, Practice Choice To Private Equity Firm That Focuses More On Individual and Small Doctor Market Space. McKesson Medisoft Practice Focus Is a Dashboard and Reporting Module To Quickly Show You Key Performance Metrics About Your Medical Practice. Use Medisoft BillFlash Patient Electronic Statements To Save Time and Money Each Month Sending Patient Statements. What Is A Medical Claim? Benefits of Medical Practice Management Software in Your Healthcare Clinic. Medisoft Tips and Tricks – How to customize screens in Medisoft with more useful information. Have you started your ICD-10 implementation plan yet? 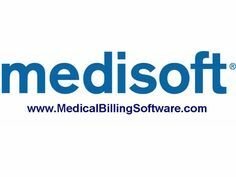 Over the next several blogs, we are going to be providing you info on How To create a new Referring Provider, To Get Started, Open Medisoft Medical Billing Software Program, Click on the referring provider icon, or click on LISTS: REFERRING PROVIDERS. Depending on the type of claims you file, you could have separate PINs from each insurance for this referring provider. This tab provides a PIN matrix where you can store these additional PINs. Depending on the type of claims you file, you could have separate PINs from each insurance for this referring physician. Enter the appropriate PIN for the insurance company. If you send electronic claims, you may also be required to enter qualifiers for the PINs. These qualifier codes indicate the type of PIN being sent. Refer to the implementation guide for your insurance carrier if you are not sure which qualifier to use. This is not provided by Medisoft but by your carrier. For a list of valid qualifiers, click here. NOTE: If you converted data from Medisoft 10 or previous, the qualifiers may have been converted as well. Verify that the qualifiers are correct for each PIN and/or Group ID.